To take the other spot of a book published in the last year, I read Hamilton: The Revolution. Actually, I listened to this one (thanks to a free download from Audible.com!) and I’m glad that I consumed it in this way, because Lin-Manuel Miranda read the footnotes for the lyrics and it’s just fun to hear things said in his voice, like it’s coming fresh from his mind! 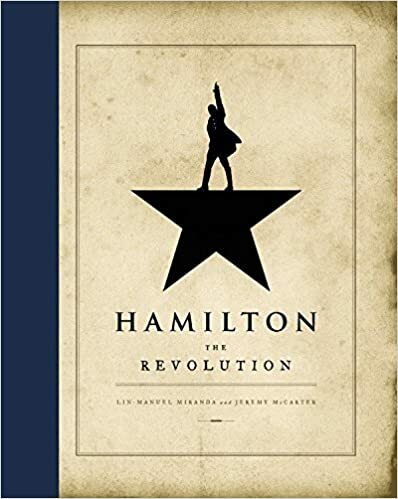 From Amazon: HAMILTON: THE REVOLUTION gives readers an unprecedented view of both revolutions, from the only two writers able to provide it. Miranda, along with Jeremy McCarter, a cultural critic and theater artist who was involved in the project from its earliest stages–“since before this was even a show,” according to Miranda–traces its development from an improbable perfor­mance at the White House to its landmark opening night on Broadway six years later. My Hamilton obsession STILL has not waned, so this was the perfect book to listen to on my bus rides. It was really interesting to hear just how early the idea for the musical came to Lin, how early he started writing for it, and the journey that it took along the way. For example, he performed one of the songs at the White House back in 2009! It’s a fun video. You should watch. But back to the important stuff. It was really interesting to hear how all the little intricate details had to come together perfectly for this show to even exist. What people had to know the right people, and be in the right places, and have the right resources and talents… amazing!